DUBAI (Reuters) - Iran criticized Britain for its decision to list Hezbollah as a terrorist organization, saying on Saturday it ignored both the will of a large portion of the Lebanese people and the Tehran-backed group's role in fighting Islamic State. "This British measure signifies deliberately ignoring a large part of the Lebanese people and the legitimacy and the legal position of Hezbollah in Lebanon's administrative and political structure," Iran's Foreign Ministry spokesman Bahram Qasemi was quoted as saying by state news agency IRNA. 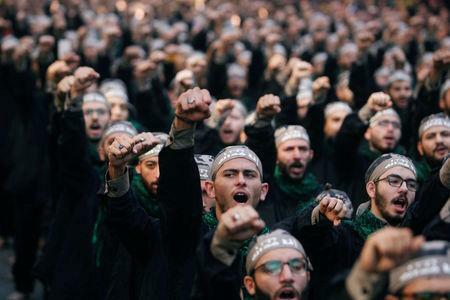 Long the most powerful group in Lebanon, Hezbollah's influence has expanded at home and in the region. It controls three of 30 ministries in the government led by Western-backed Prime Minister Saad al-Hariri, the largest number ever. "In addition to ... helping preserve Lebanon's territorial integrity over recent decades, Hezbollah has been one of the pillars of the fight against terrorism and terrorist groups such as Islamic State in the region," Qasemi added.